I was absolutely delighted to be asked to be Look Fantastic's 'Blogger Of The Week.' I adore blogging and have genuinely used the Look Fantastic site for years as they basically sell everything beauty related. 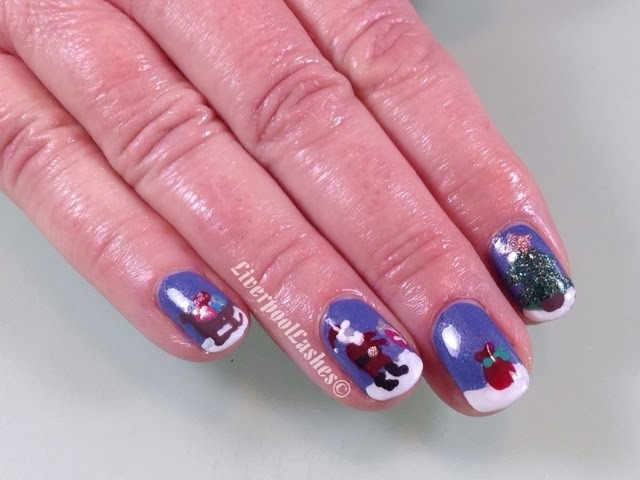 I decided to film a festive nail tutorial for the post that went up on their website today, (Click here to read it.) I actually came up with quite a few ideas and had to narrow them down so I will still make tutorials for the others for you all. You could always add some tiny snowflakes but I didn't want to over do it and take away from the actual design. The blue is stunning, it's a shade that's suitable all year around. With it's tiny flecks of glitter I felt it really worked well as a background for the snowy scene.